This example demonstrates the use of pinMode(INPUT_PULLUP). 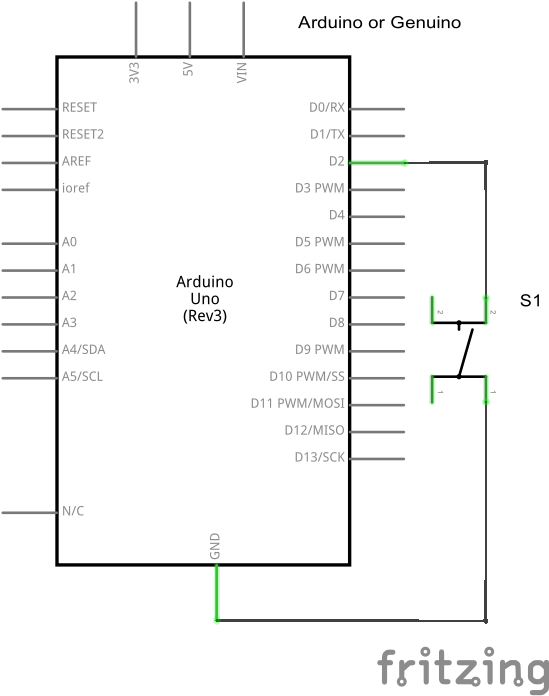 It reads a digital input on pin 2 and prints the results to the serial monitor. Connect the pushbutton between pin 2 and ground, without any resistor as reference to 5V thanks to the internal pull-up.